Erik Eleodum is a simple man. He doesn’t want to be a hero. He doesn’t need fame or fortune. He is content farming his family’s homestead in northern Háthgolthane and raising a simple family, like his father, for the rest of his life. In fact, adventure is the last thing on his mind. 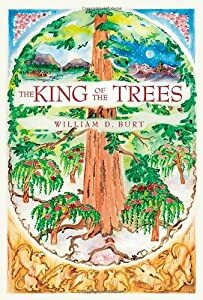 Book I in the "King of the Trees" fantasy series. Wholesome reading for the entire family. Features a glossary/pronunciation guide at the back for easier reading and/or reading aloud. For ages 8 and up. What do an old wooden box, a jeweled pendant and some mysterious, green-garbed strangers share in common? 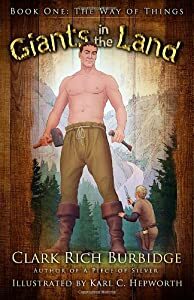 When Rolin son of Gannon is caught up in this riddle, his adventures take him worlds beyond the walls of his little log cabin. 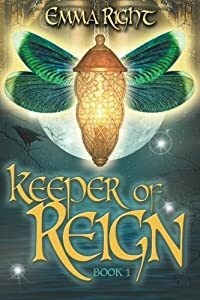 With the help of some grumpy griffins and a long-lost prophecy, Rolin and his friends battle a fiendish foe and his underworld army; batwolves, dragons and other mythological creatures. On their perilous quest for the blessed Isle of Luralin and the Tree of Life, they must trust the King with their very lives. In the end, they learn that "The greatest help oft comes in harm’'s disguise to those with trusting hearts and open eyes." 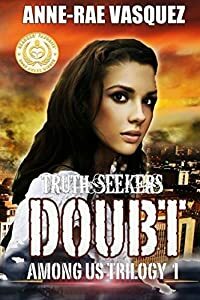 Harry Doubt, a genius programmer and creator of the popular online game Truth Seekers, has a personal mission of his own; to find his mother who went mysteriously missing while volunteering on a peacekeeping mission in Palestine. His gaming friends and followers inadvertently join in helping him find her; believing that they are on missions to find out what has happened to their own missing loved ones. During Harry's missions, Cristal and the team of 'Truth Seekers' stumble upon things that make them doubt the reality of their own lives. As they get closer to the truth, they realize that there are spiritual forces among them both good and evil, but in learning this, they activate a chain of events that start the beginning of the 'end of the world' as they know it. The Among Us Trilogy questions what is beyond the reality of this world and ties in different religious supernatural beliefs of God, Heaven, Purgatory and Hell, angels and demons apocalypse, spirituality and fantasy by mixing themes from shows like Fringe and Supernatural to create an end of the world thriller. The Great Spiritual MOTHER has anointed Chief Cayce Taylor to be shaman while in the midst of the Apocalypse. He and his tribe have already been warned of the returning Dragon but they've ignored the signs. However, while in Devil’s Hanging when a demon tries to kill Cayce, he's suddenly forced to take heed of his ancestors’ prophecies. Lilith is a Legion, the oldest of demons; she’s the pet of Adsu Gulden, a Babylonian god who's miraculously survived unscathed for eight-thousand years. They both hate Cayce’s tribe, the Annanuki, the descendants of the Biblical Seth. Adsu’s pure Cain bloodline has been cursed by their GOD. He's now obsessed with destroying them before the LOOMING DRAGON floods the planet. The Annanuki council is oblivious of Adsu and Lilith as they prowl in the shadows of Elephant Butte, New Mexico. Cayce desperately fights to convince his people of Lilith and the Looming Dragon, however they chastise him and call him crazy. This divides the Annanuki council. 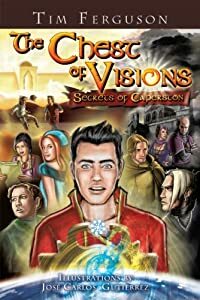 Cayce is attacked by Shamish Taylor, the tribal elder, who's possessed by the demon bent on killing Cayce and taking the ancient tablet, the Tiponi, which contains the secrets of mankind's origins passed down from Atlantis, the home of Cain and Abel. Thankfully there’s hope for Cayce and the Annanukui. Their invisible GOD always protects the chosen people, because ever since the dawn of mankind YAHWEH has appointed powerful watchers. They're the Thwati and these shape-shifters change everything. The Watcher's leader Pastor Billy Quallin sniffs the demon Lilith out. He knows her. The pastor has hunted Legions before and now he’s tracking her. Amazingly however, while on her scent, the mysterious pastor and his pack of shifters find something else quit intriguing: There's an ark, just like that of the days of NOAH. This ark is named the A.E.S Gulden and it's a massive spacecraft; a spacecraft meant to save Adsu Gulden from the clutches of the Dragon, as it comes again. 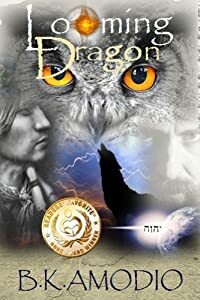 LOOMING DRAGON is a thrilling fantasy novel intertwined with a fantastic twist to popular theology. 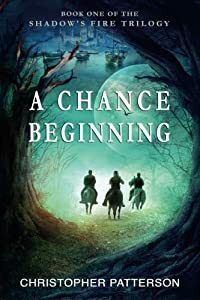 It's an intriguing novel and readers will enjoy their journey with Cayce, a young Native American, as he unravels the true origins of mankind while facing Earth's demise. LOOMING DRAGON is a 91,000 word novel with strong series potential, aimed at young adult readers but suitable for everyone. What would you do if you were playing in a pick up Celtic band at an Irish pub in downtown Chicago and a biker man yanks you outside, bites you, says "welcome to the family" and then disappears into the Chicago River? If you are Conor Archer, you would be in pain, wondering what just happened, and then remembering that your mom is dying and you need to get home fast. He arrives in enough time to hold his dying mother. But she has time to tell him that he must go to Tinker's Grove, the hometown he has never seen. It is an old Irish immigrant town from the 19th century, by the banks of the Wisconsin River. Going there is the only way he can be healed. He collapses when he arrives in the center of the town, seriously ill. He wakes up to Troubles, a chocolate Labrador, licking his face and a bunch of people standing around him who soon will be his friends. They want to take him down by the river where there is a Native American burial mound. They say he can be healed there. And that's when Conor realizes he is in a strange town with many mysteries and some really strange people. Tinkers Grove holds secrets. There are the "dark ones", some of the children of the town, who have the powers of the wild animals of the forest. People talk of the river demon Piasa, a water wraith corrupting everything it touches. And they speak of someone or something that dwells in the Indian burial mound. 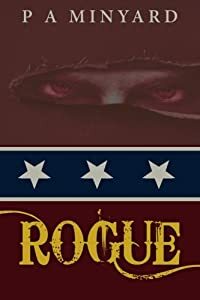 He or it is mysterious and powerful, an immigrant like them from the Celtic lands beyond the sea, but the town knows that presence to be good, holding off that creeping evil. The people seem to think that Conor Archer is some savior in a coming battle between good and evil. Believing this was all crazy talk, Conor ignores it till he starts changing, shape-shifting, becoming something other than human. No longer does he think the rumors just legend and fantasy. A gen-tech company comes to town wanting to do experiments on the "dark ones" and makes a devil's bargain with the ancient evil present in the river. 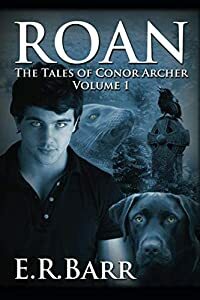 Myth and science meet in a bargain of destruction and only Conor will be able to keep the horror from infecting the town and the land. A battle with an ancient evil for the future of the world is about to begin. There are Giants in the Land . . .. . . and it has always been so as far as anyone can remember. They work side-by-side with the people, and whenever there is a job too difficult or a threat too great they are there to step in. The giants' presence gives the townspeople a special confidence about life. But one morning the people discover the giants have mysteriously disappeared. Fear and panic grip the town. Someone must find them and bring them back. Thomas, a young farmer, volunteers and sets out alone on a great journey of danger and discovery. Thomas learns the true nature of giants and what it means for him and his people. 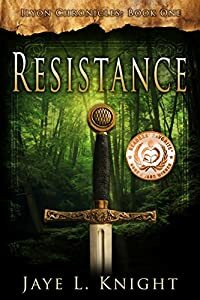 Join Thomas in his timeless rite of passage and learn what it means to become something more than you have been, why it is necessary in life, and how to do it.